For information on the proposed 2019-20 school district budget, please go to the "Budget Information" page under the COMMUNITY tab of our website. Clinic Hours: 10am-6pm at 134 Court Street in White Plains. Parents, please sign into the Parent Portal by clicking this announcement or selecting the elephant on the global icon menu. The Take a Break chair is a new element of the Responsive Classroom curriculum at Primrose Elementary School, used to teach children to identify and manage their feelings. Responsive Classroom is a key component in the district’s commitment to Social and Emotional Learning. School Psychologist Regina Kaishian and School Counselor Katie Bergin are introducing the Take a Break concept to some classrooms at Primrose and in others they are connecting existing Take a Break chairs to Zones of Regulation, which help kids identify their own emotional and physical experiences. By dedicating time to talk about the chairs and zones to all students at Primrose, the counselors are normalizing the use of the chair. Click on the headline to read more on this story. 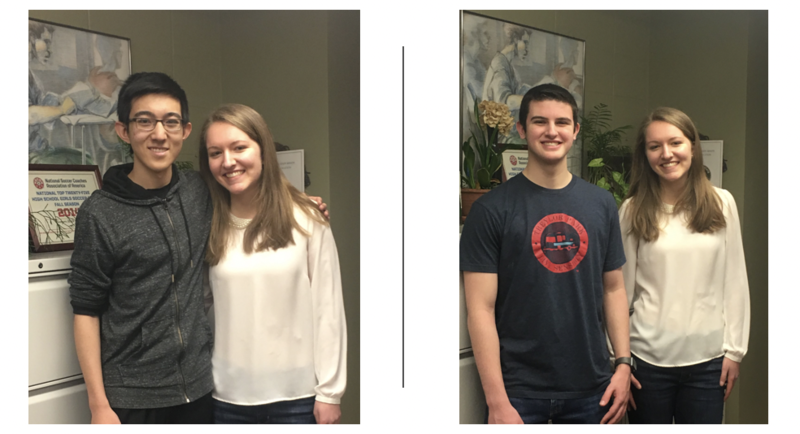 Music Can Change The World Act I, Act II and III have achieved amazing outcomes for the Community Center of Northern Westchester and the families they serve and support. 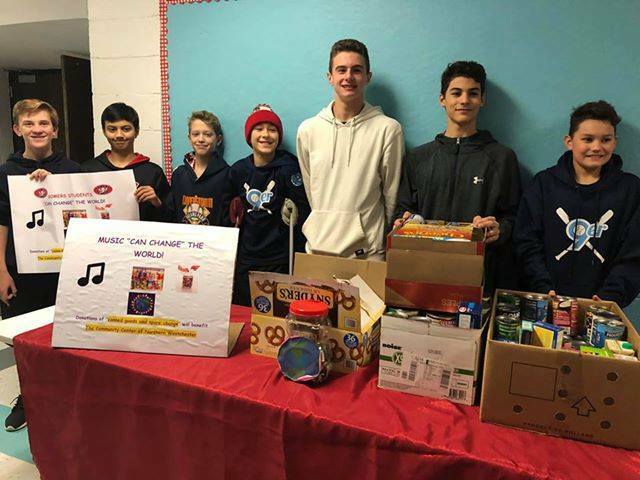 With the support of the Somers community, the students have collected 1,067 pounds of canned goods and $1,470 in spare change - some of which was used to purchase school supplies for elementary and secondary students. 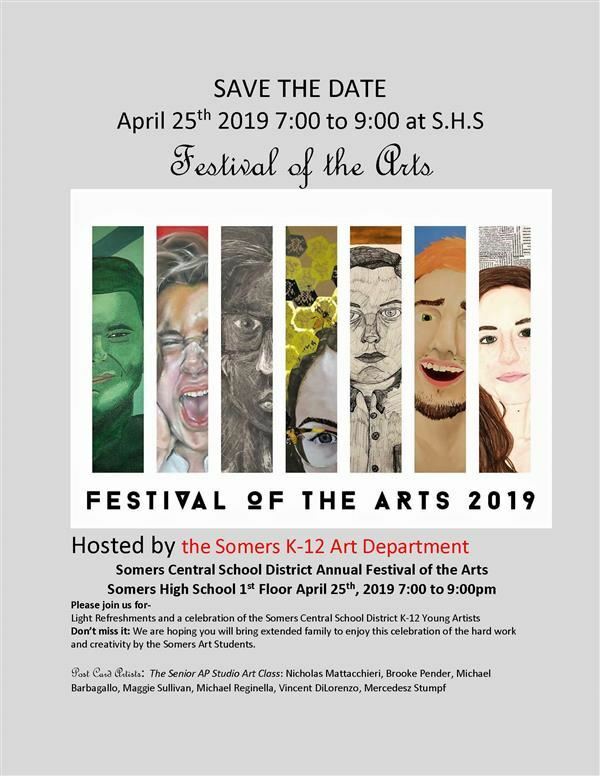 Somers Middle School students Donovan Smith, Jake Gannon, Ryan Eade, Michael Abrenica, Evan Carway, Rhys Carway and Eddie Baranowski, with the support of their Somers moms - Kelly, Michelle, Maribeth, Laura, Lauren and Sharon and siblings Ryan and Kaitlin (Somers Intermediate School), and Lily and Christina (Somers High School), have facilitated Music Can Change the World Acts I, ll and most recently Act III. Click on the "Learn More" button below to read more on this story. 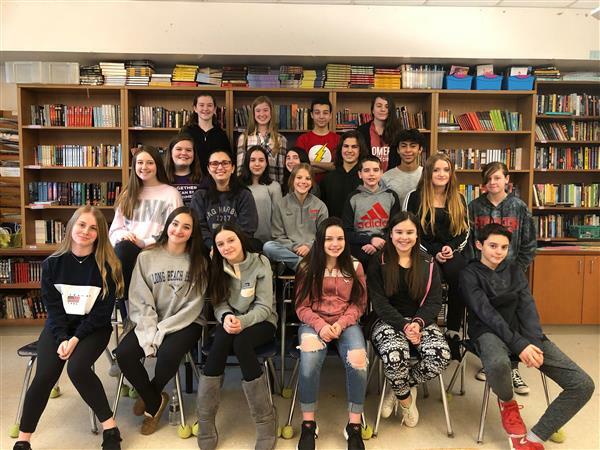 29 students from Somers Middle School and Somers High School have been recognized by the Scholastic Art and Writing awards this year. One of our Grade 8 students, Olivia Bilosi, received a Gold Key Award for her novel! Her work will move on to be adjudicated at the national level of the competition. All winners are invited to attend the Regional Awards Ceremony held on Sunday, March 3, at Manhattanville College in Purchase, NY. Click "Learn More" for a complete list of winners.